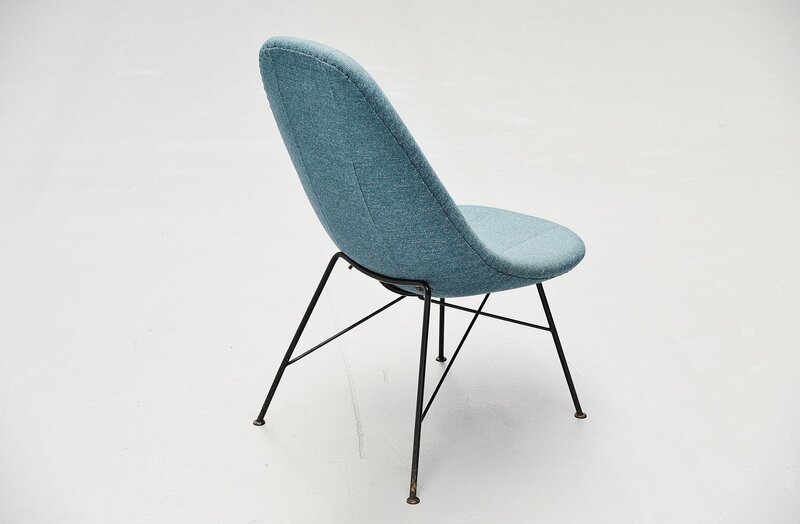 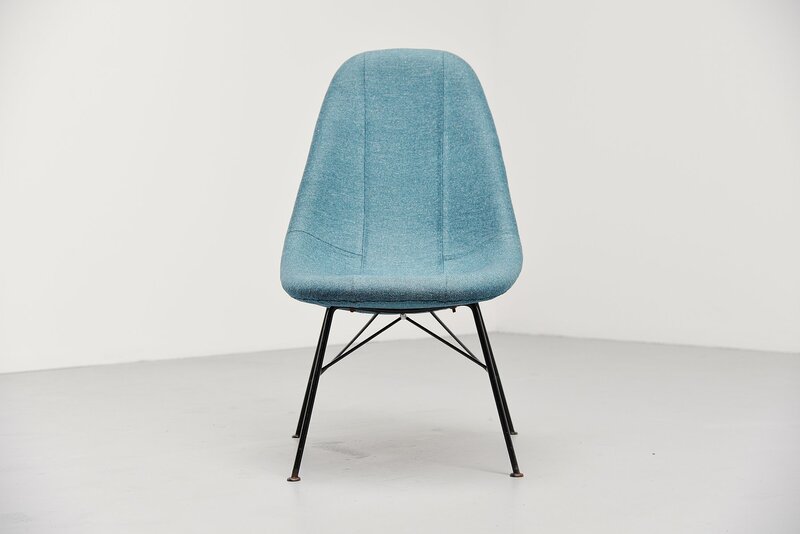 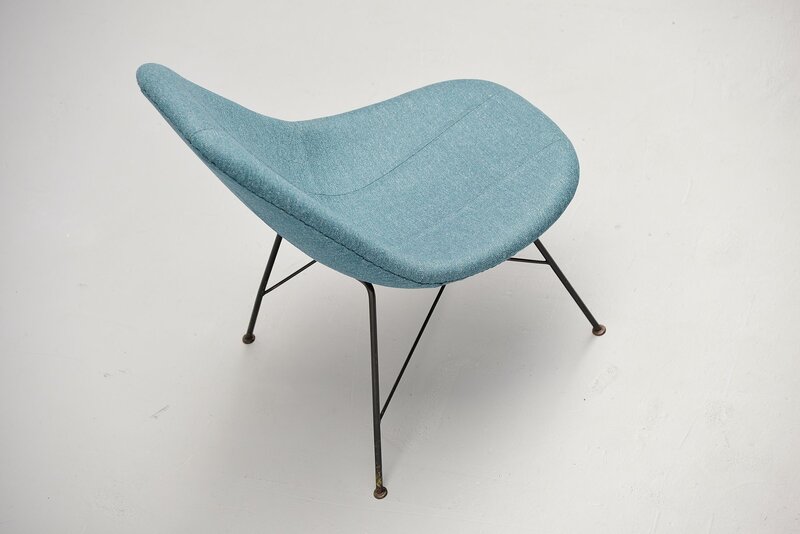 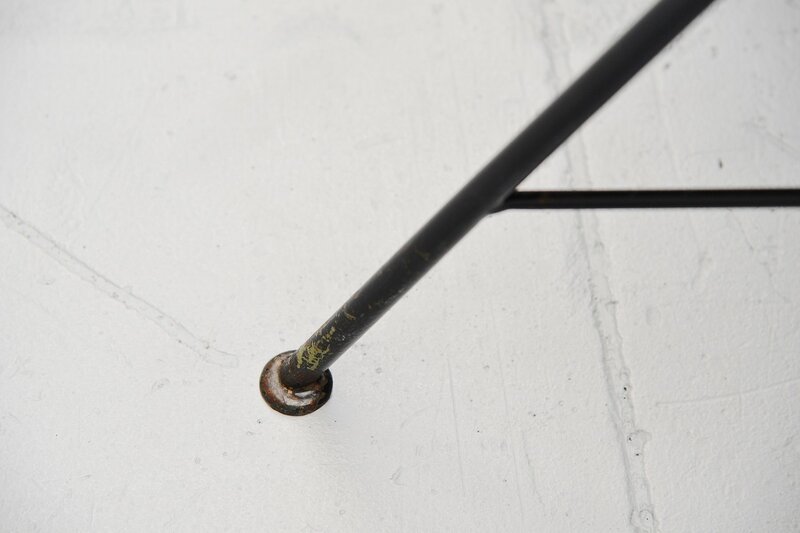 Very nice high back chair designed by Miroslav Navratil, Czech Republic 1950. 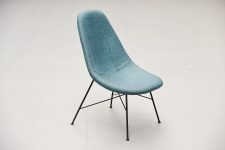 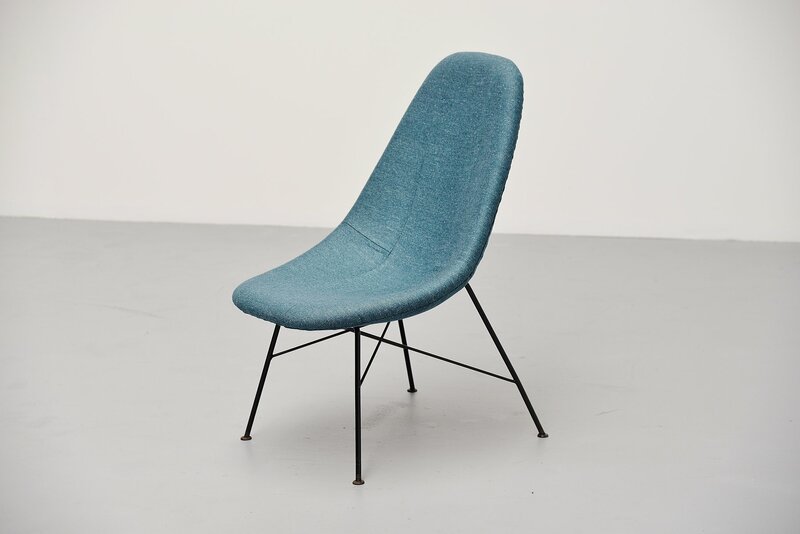 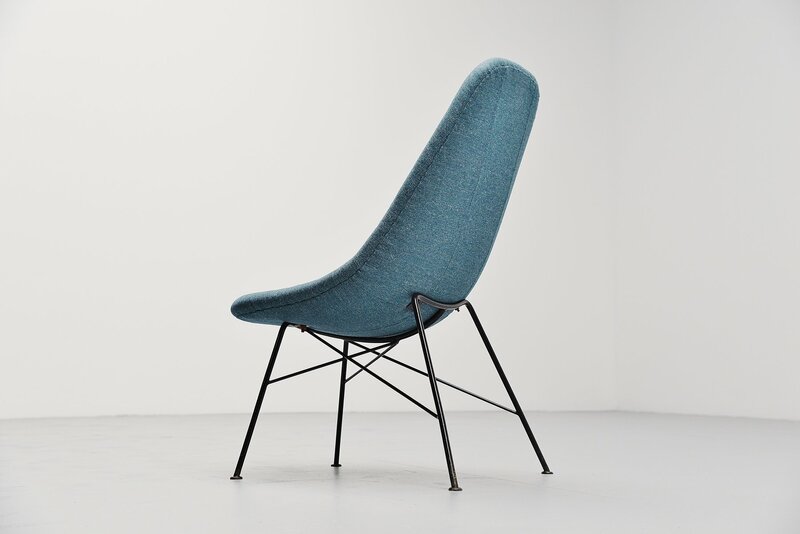 This has a very nice black lacquered metal wire frame and a bucket seat like the shell chairs from Charles and Ray Eames but this one is fully upholstered and the frame is very nice and dynamic looking. 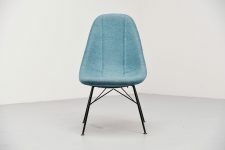 We have newly upholstered it in bright blue fabric like it originally was and the chairs seats very comfortable. 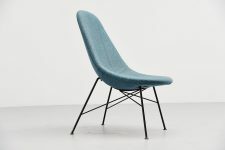 Because of the high back this chair can easily be used as desk chair.